Mail to the Chief is an original musical based on letters written to the president by children. This show was first produced in the summer of 2000. 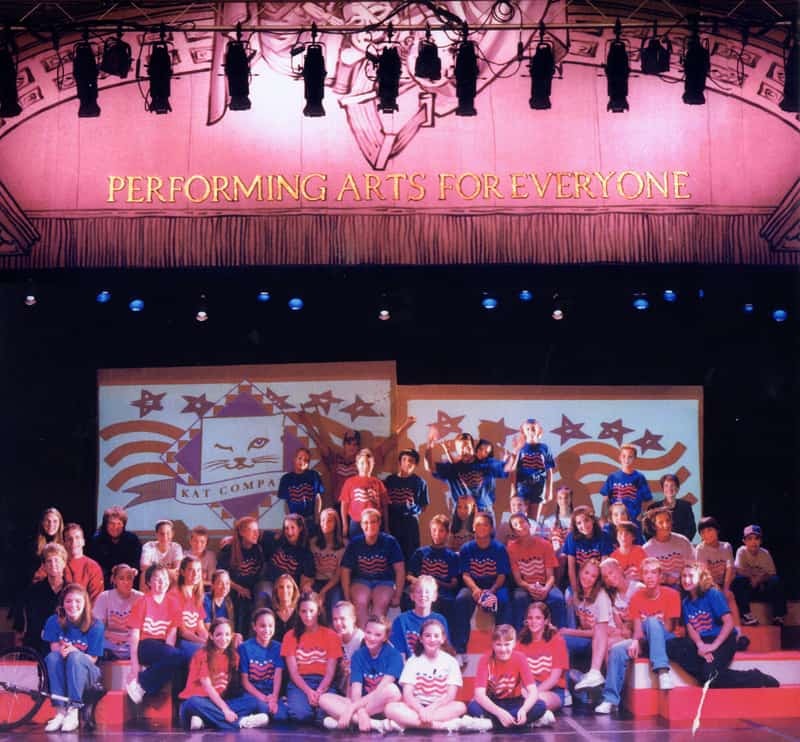 This show was a technological jump forward for a community children’s theate company in that it featured constant projections throughout the show using computers and data projectors with computer generated video animations. 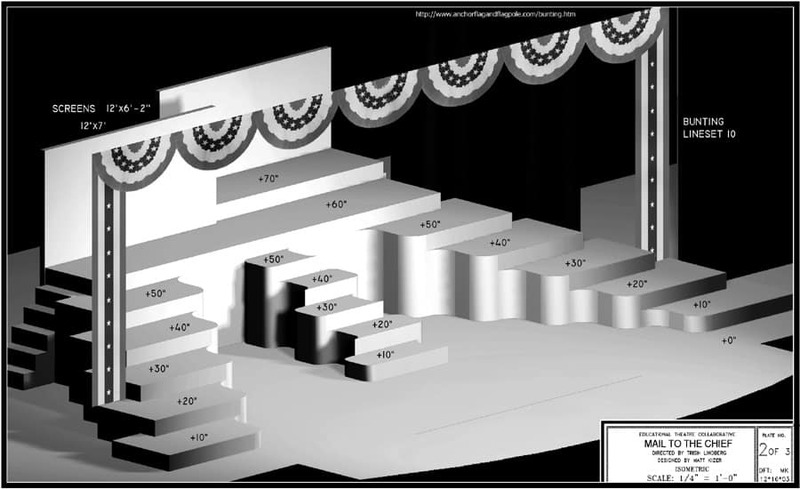 The design used two screens, and the set itself was something of a cross between the American flag and the Lincoln Memorial. The show was invited for presentation in its entirety on the Millenium Stage of the Kennedy Center in Washington DC in November of that year (an election year). 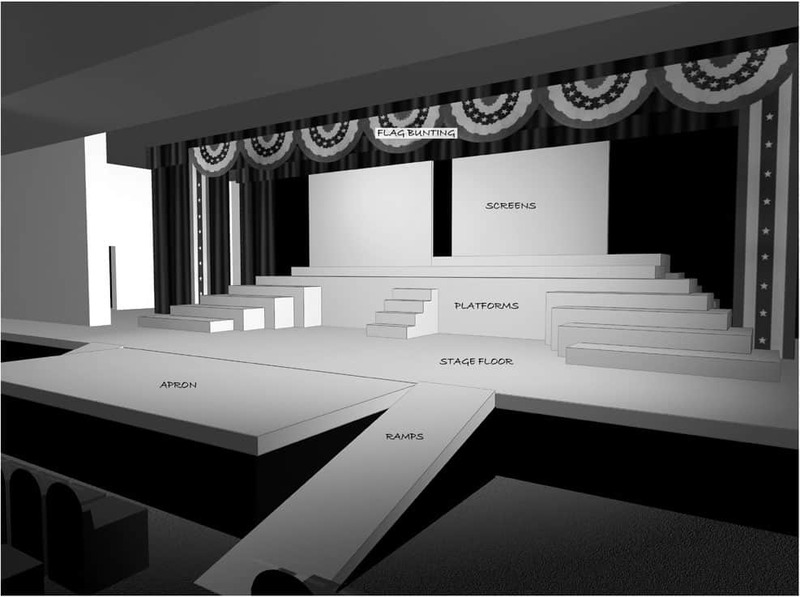 I redesigned the the set to fit that stage and to travel in a U-Haul. I also created a custom version of all of the media for the show that was keystone-corrected for a peculiar projection angle. We had to mount our projectors low and outside of the proscenium in that space, and in 2000, we did not have projectors with built-in keystoning. In 2004, the show was updated with new material, especially with the war on terror going full strength. 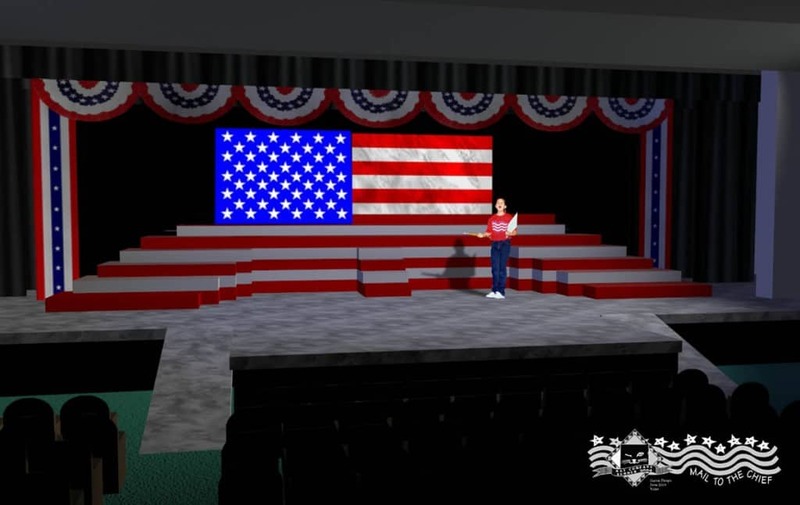 It was election year again, this time it was produced on a much larger scale for the Educational Theatre Collaborative. That following summer, it was scaled down a little for a second run at KAT Company, with the new material. In total, I have helped produce this show four times in three venues. Below is some of the video that was incorporated into the show. Any animation shown below would have appeared on only one screen. The other screen would have shown an extension of the same animation, or a complementary image.